Watch: How Does an IMAX Theater Get Upgraded? Thanks to an expansion of theaters and effusive praise from filmmakers like Christopher Nolan, IMAX has become one of the more popular ways to see movies over the last few years. The theaters offer an intensely immersive moviegoing experience, with expanded screens and pristine (read: LOUD) sound quality. 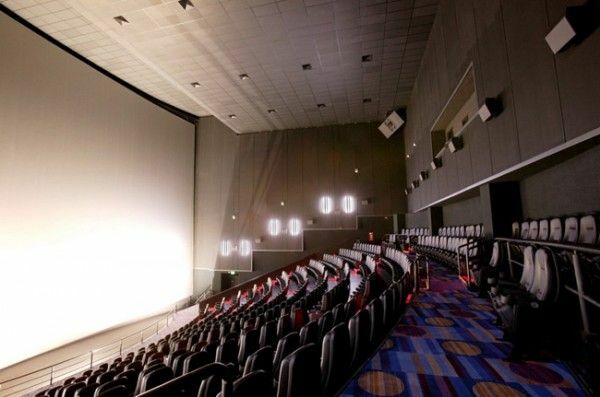 Since IMAX theaters have been in heavy rotation since the 1990s, many have had to undergo upgrades in order to maintain the high quality presentation. IMAX Melbourne has released a fascinating video that chronicles just what goes into upgrading an IMAX theater, and it’s a pretty cool watch. The video also explains the difference between IMAX digital projection and 70mm film projection, the latter of which has become rather rare in recent years and will likely be rendered obsolete when IMAX introduces its laser projection technology. Hit the jump to watch the video, and if you haven’t caught Gravity in IMAX 3D yet, I highly suggest you do so before it exits IMAX theaters.